Former Minister Rohitha Abeygunawardena in his written evidence before the Presidential Commission Investigating Fraud, Corruption, Abuse of Power, State Resources and Privileges (PRECIFAC) stated that the Sri Lanka Port Authority (SLPA) had spent Rs. 138 million on the water filling and opening ceremony of the Hambantota Magampura Port without his approval or knowledge. Ceremonies of this nature held with enormous spending had not helped to gain any international attraction or gainful thing for the country, he had said. Senior State Counsel Janaka Bandara who disclosed this before the PRECIFAC, said that Abeygunawardena’s evidence had stated that the relevant company and festival had been organised at the whim and fancy of the then chairman of the SLPA Priyath Bandu Wickrama. 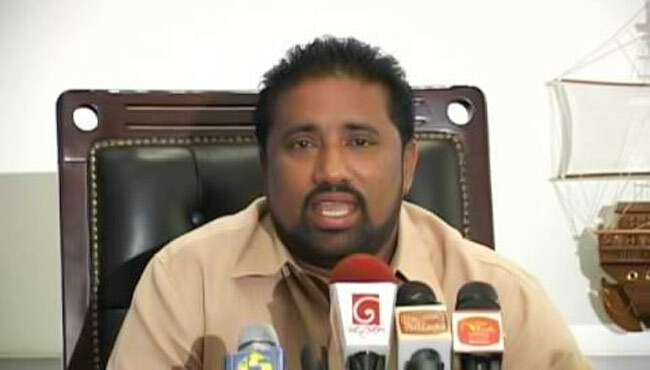 Highlighting some more facts stated in Abeygunawardena’s evidence, Senior State Counsel Bandara, said the former minister had been only informed about the Magampura Port Festival by his former ministry secretary, Ranjith Silva for purposes of seating arrangements and representation of the political authority since the ceremony was to be graced by former President Mahinda Rajapaksa. But as minister he had not been invited to attend any of the meeting held in connection with the organising of the event. Neither had the minister’s approval been obtained for the spending incurred as stated in Abeygunawardena’s evidence. Abeygunawardena was among 19 witnesses who had provided written evidence through affidavits during investigations made by Inspector Anuruddha and Constable Priyantha.